Created by the Arc of the United States, Tech Toolbox highlights over 360 special needs apps, categorizing them by specific goals (such as “finishing work on time” or “communicating with strangers”) and by user needs (“uses voice commands” or “understands symbols or pictures”). This index of reviews also features software and devices such as the Big Red Switch and smoke detector strobe lights. Anyone can leave their own reviews of tools on this site. This is the mother of all indexes for special needs apps! 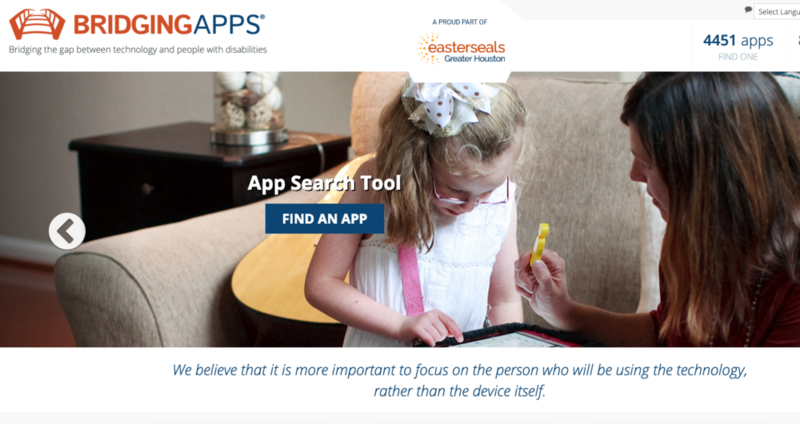 BridgingApps is a program of Easter Seals Greater Houston, and this site features reviews of over 4400 apps! Some of the apps are less obvious than others, but then the reviewers explain why each app may be useful. When reviewing the Amazon app, they write, “We believe this app would be beneficial for users who have been diagnosed with Down Syndrome or Autism Spectrum Disorder.” BridgingApps also has several specialized lists, such as their Caregiver Apps and AAC Apps. 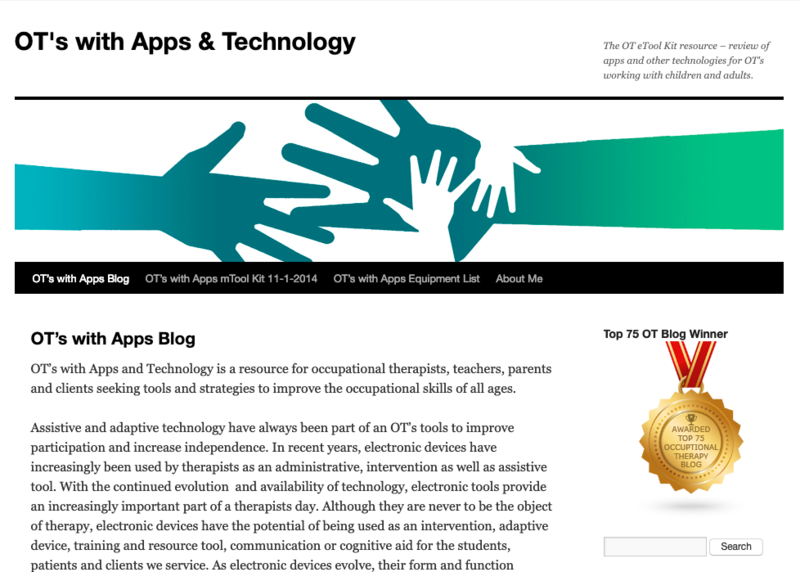 The Center on Technology and Disability features an incredibly extensive collection of tools, links to resources, and blog posts. To locate their app reviews of individual apps and lists of apps (grouped by skill or user type), search “apps” from the homepage. Many posts feature downloadable resources, such as “AT Support for Autism,” “AT and App Support for Executive Function,” and “Selecting Apps for Young Children.” Each PDF guide (located in the right column under “Download Here”) was developed by educators who are assistive technology specialists. Maine CITE offers a list of lists, rather than an index of apps. This curated project features over 56 lists of apps as assistive technology, with lists specific to seniors, TBI survivors, students with learning disabilities, people who are visually impaired, and people with limited mobility. Occupational therapist Carol Leynse Harpold has compiled some excellent lists of apps on her award-winning blog. Our favorite is her list of Apps categorized by Area of Occupation (including Shoe Tying, Med Help, Visual Schedule, Social Skill Builder). To locate more lists of apps, look for the menu title “OT’s with Apps Pages” on the right-hand column of the site. What are your favorite app websites? We’d love to hear from you. Leave a comment below, or learn more about SimplyHome.